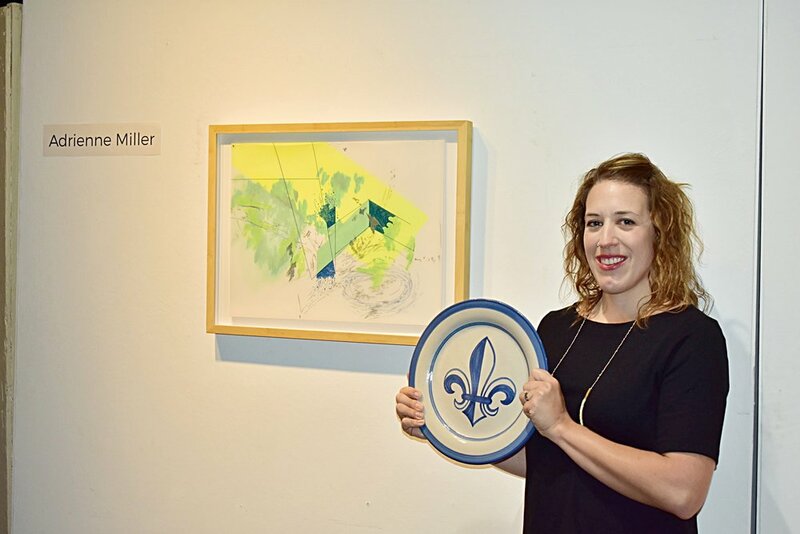 The Community Foundation of Louisville, in partnership with Louisville Visual Art, presented Louisville-based artist and printmaker Adrienne Miller with the fifth annual Mary Alice Hadley Prize for Visual Art today at 10 a.m. The $5,000 award is an opportunity for local artists to enhance their careers through a targeted enrichment experience. Miller will use the prize to research the landscape and art historical influence of the Four Corners area of the American Southwest. The two-week trip will cover close to 2,000 miles in a loop through the Four Corners region and will include a variety of stops, including several different pueblo ruin sites, printmaking studios in Albuquerque, the Georgia O’Keefe museum and archives, several National Parks, energy vortexes in Sedona, and several large earthworks in the region.